One of the most compelling letters of support for the AVMA resolution on homeopathy came from a source that might seem unexpeted, Dr. Narda Robinson, Assistant Professor of Complementary and Alternative Medicine at the Colorado State University Veterinary School of Veterinary Medicine. Dr. Robinson is that rare bird, a practitioner of some alternative therapies who is also a proponent of taking an evidence-based approach to CAM. I think of her as sort of the Edzard Ernst of veterinary medicine. Dr. Robinson and I disagree (sometimes right in the comments section of this blog) about a number of therapies, but her genuine interest in a rigorous application of real science to the evaluation of CAM is refreshing and desperately needed in the field, and I respect her opinion even when I dont’ agree with it. And like Dr. Ernst, Dr. Robinson has paid a price for her integrity and willingness to reject pseudoscience like homeopathy despite its affiliation with therapies she uses that are also lumped under the expansive and vague umbrella term of CAM. She is often upraided as or more harshly even than I am by proponents of practices she challenges. Dr. Robinson has graciously allowed me to post the letter she submitted in support of AVMA Resolution 3. It refers specifically to the Academy of Veterinary Homeopathy Standards of Practice, which I have written about before. These standards are inherently ridiculous in that they attempt to create the aura of legitimate scientific expertise in a field that is fundamentally incompatible with modern science. However, the are most worrisome in that they reveal the often hidden belief among too many homeopaths that hoemopathic treatment should be seen as an alternative to conventional, sceintific medical care. This attitude places our patients at risk and represents the greatest danger of homeopathy, which of course is rarely directly harmful since it only a placebo. I am writing to convey strong support for proposed Resolution 3, which recommends that the AVMA adopt a policy stating that homeopathy is ineffective and should be discouraged as a veterinary therapy. I find especially telling and disturbing the “Standards of Practice” put forth by the Academy of Veterinary Homeopathy (AVH), the sole certifying body for veterinary homeopathy.1 The AVH stresses that consumers interested in pursuing homeopathic treatment for their animal consult a certified veterinary homeopath (CVH) so that they “will know that the AVH Standards of Practice is (sic) being upheld and that their veterinary homeopath is practicing according to the laws of homeopathy.” In fact, all AVH members must agree to the AVH Standards of Practice.2 3 Considering that the American Holistic Veterinary Medical Association has insisted that so-called “experts” in homeopathy participate in discussions that evaluate the legitimacy or effectiveness of this approach,4 it would be wise to closely examine the standards that homeopathic experts (CVH) are exhorted to uphold. Of the 15 standards posted by the AVH, the first 8 suffice to highlight the risk of delivering ineffective healthcare to animals. They also illustrate how homeopathy might harm animals and threaten public health by omitting proven, scientifically based, medical and preventive measures designed to treat illness early and effectively as well as limit the spread of infectious disease. 1) Only the remedy that is homeopathic to the patient is to be used. 2) Drugs and methods of treatment which are not homeopathic to the case are to be avoided because of the possibility of interference with the progress of cure. 3) Use of acupuncture and moxa is not compatible with homeopathic treatment because of its effect on the vital force of the patient. 4) Treatment of symptoms by electrical or electromagnetic application is to be avoided because of its tendency to suppress symptoms in the patient. Use of electricity and effects of magnets are suitable in treatment when administered according to homeopathic indications only. The recommendation to exclude therapies based on an abstract concept of “vital force” interference illustrates how unscientific thought from a bygone era continues to influence those who use homeopathy today. 5) Only one homeopathic medicine is to be given at one time. by allowing illnesses to worsen and pain to reach unbearable levels. 6) Medicines are most suitably given by mouth. This directive, adapted like the others from an early 19th century homeopathic text7, was formulated prior to the development of the modern hypodermic needle in 1853 and the disposable syringe in 1956. 7) The patient should receive nutritious food that does not, in itself, have medicinal effects. This standard contradicts the advances made by nutritional medicine and the research performed on therapeutic diets for organ failure or nutrient intolerance, posing further harm for animals by denying them preventive and restorative dietary modifications. 8) Symptoms on the skin or surface of the body that have expressed as a localized lesion are not to be treated in a vigorous way with the intent to cause their disappearance or by surgery to remove them. These are to be treated primarily by internal homeopathic treatment. In summary, the Standards of Practice put forth by the AVH to be upheld by all members, including its “most expert” certified veterinary homeopaths, recommend that veterinarians commit serious, potentially life-threatening errors of omission that pose substantial risk to both animal and public health. By upholding this resolution, the AVMA will send a clear message to consumers about the risks to which they expose their animal and, possibly, themselves if they opt for what is essentially placebo medicine in place of effective, modern, scientific healthcare. 1 The Academy of Veterinary Homeopathy (AVH) web page. Why Should I Become a Certified Veterinary Homeopathy? 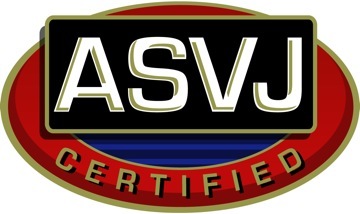 http://www.theavh.org/certification/index.php . 2 The AVH web page. http://www.theavh.org/referral/index.php. 4 American Holistic Veterinary Medical Association website homepage. http://www.ahvma.org . 5 The AVH web page. 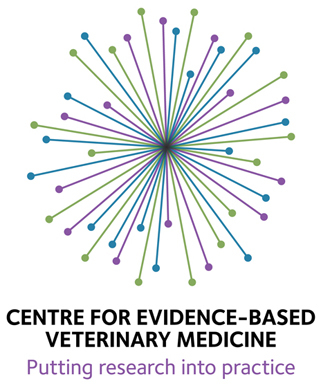 Standards of Practice and Purpose of the Academy of Veterinary Homeopathy.http://www.theavh.org/referral/sop.php. 6 The AVH membership application. http://www.theavh.org/documents/AVH%20Membership%20app.pdf . Original reference cited by AVH as Hahnemann S. Organon of Medicine, 6th edition, paragraphs 23, 25-45, 69, and 291. 7 Hahnemann S. Organon of Medicine, 6th edition. Denoted in the AVH Standards of Practice as their main source. 1st edition, 1810; 6th edition, completed in 1842. Translated into English by Naude A, 1982. 8 The AVH. Member Application form, available at http://www.theavh.org/documents/AVH%20Membership%20app.pdf . Sadly, still a thing. In retreat in some places, especially the UK and Australia, where it is being removed from the public health services, but plenty of defenders in veterinary medicine here in the US.